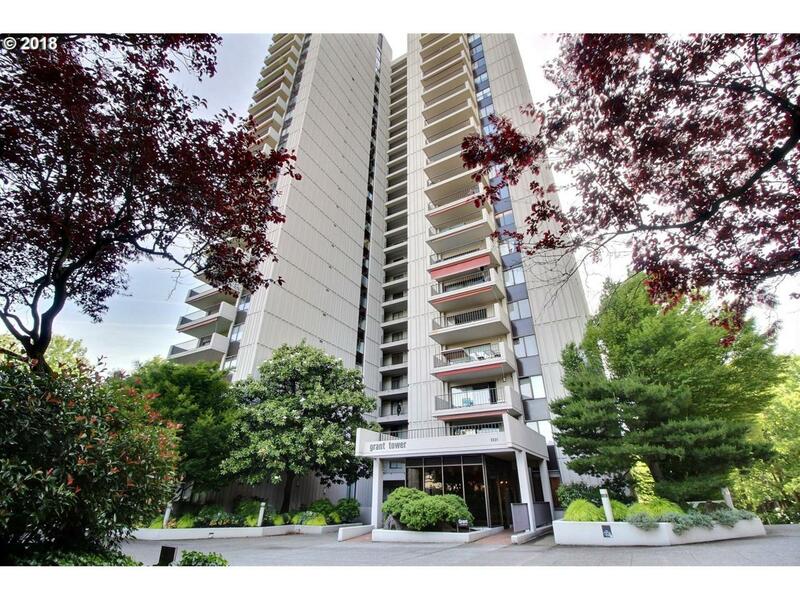 Spacious downtown condo w/ large veranda overlooking city, park, and west hills views. Formal entry, open kitchen w/ bar, large living / dining room w/ fireplace, large sliding doors that lead to over sized veranda w/ plenty of room to lounge and dine. Master suite w/ full bath, 2nd bedroom perfect for guests or office, 1/2 bath could be full by adding shower, rec room, weight room, pool, deeded parking, close to PSU, Saturday Market.